Helm Precision, Ltd. has over 20 years of experience in machining all types of materials including Plastics, Fiberglass, Aluminum, Titanium, Stainless Steel, High Temp Nickel based Alloys, and Magnesium. 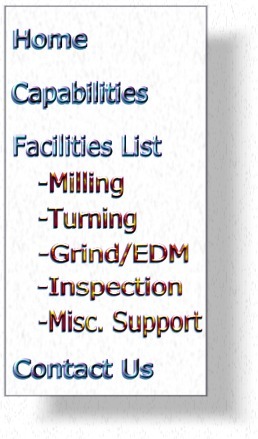 All of Helm's equipment is state-of-the-art, and we excel in Three, Four and Five-Axis Machining. Helm has CNC Milling capacity of 40-inch Length x 24-inch width x 24-inch height, and CNC Turning capacity from .125-inch to 28-inch diameter x 40-inch length, with conventional turning, milling, grinding and EDM to support the CNC departments. We have a wide variety of capabilities from .125-inch diameter shafts to 28-inch diameter Housings, Shrouds, Diffusers, Gearboxes and Valves. Helm Precision has designed, built, and maintained an outstanding Quality System. Combining the elements of AS9100, ISO9001, and Statistical Process Control reduces the manufacture of less than perfect products. All the testing, inspection, and tooling equipment is calibrated and inspected on a regularly scheduled basis to assure consistency and accuracy.